Mayslake Hall, part of the Mayslake Peabody Estate in Oak Brook, Illinois, was built in 1919 for coal magnate Francis Stuyvesant Peabody. This Tudor Revival style mansion is open for tours during ongoing restoration work and it’s interesting to see just how it’s coming along. 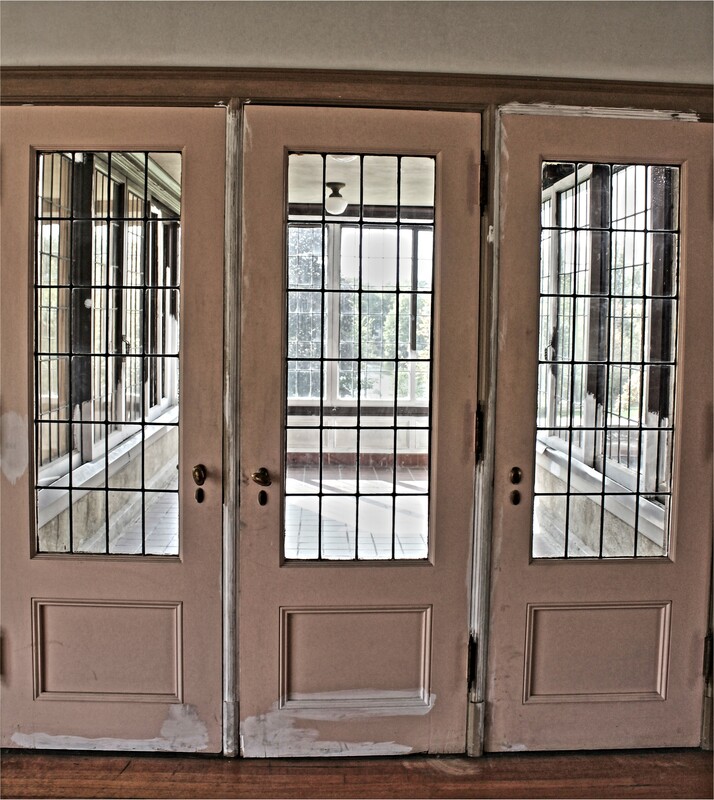 Naturally, I paid particular attention to the doors and there were quite a few that were decorative as well as functional. The woodwork in the library is particularly impressive. 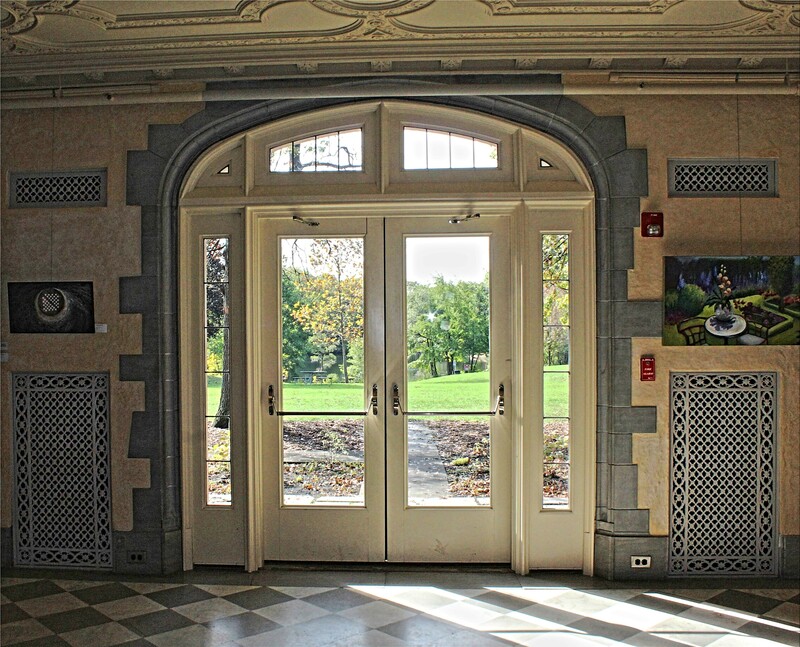 The Forest Preserve District of DuPage County now owns the estate and several of the rooms are used for programs, art exhibitions and wedding receptions. Apparently the Peabody family were very health conscious and had a sleeping porch built that allowed for plenty of fresh air. There was more than a touch of irony when Francis Peabody died of a heart attack less than a year after they moved into the house. Strangely enough, the plainest door in the building has the most interesting history attached to it. 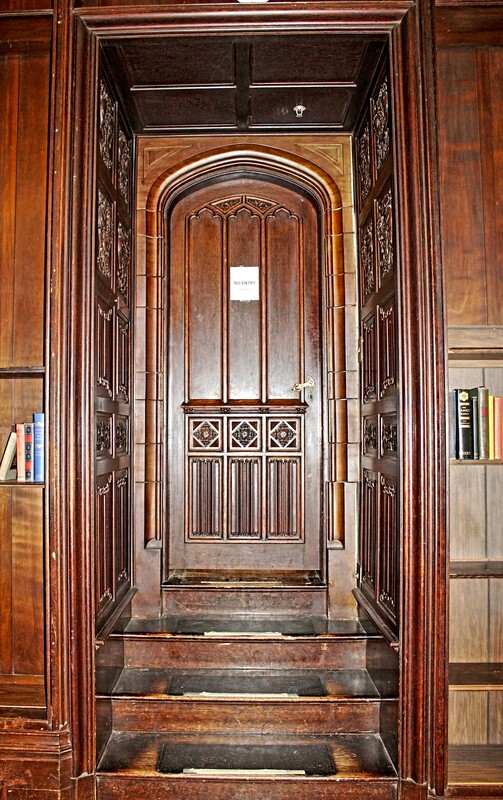 Because of the unrest between coal miners, the unions and the coal mine owners, it is thought that Peabody may have had this hidden door installed in his private study as a means of escape in case of trouble. It opens onto a flight of steps that lead down to the first floor and out of the house. There were even rumors that an underground tunnel existed, although so far they have been unable to find it. It would seem that Peabody had the right idea, however, as it was in 1922, not long after the mansion was completed, that the Herrin Massacre, a bloody fight between striking miners and non-union workers, occurred in downstate Illinois. I love the secret passage bit. Thanks, Chris! I love these old places with secret rooms and passages so the docent who was giving the tour really grabbed my attention with this one. 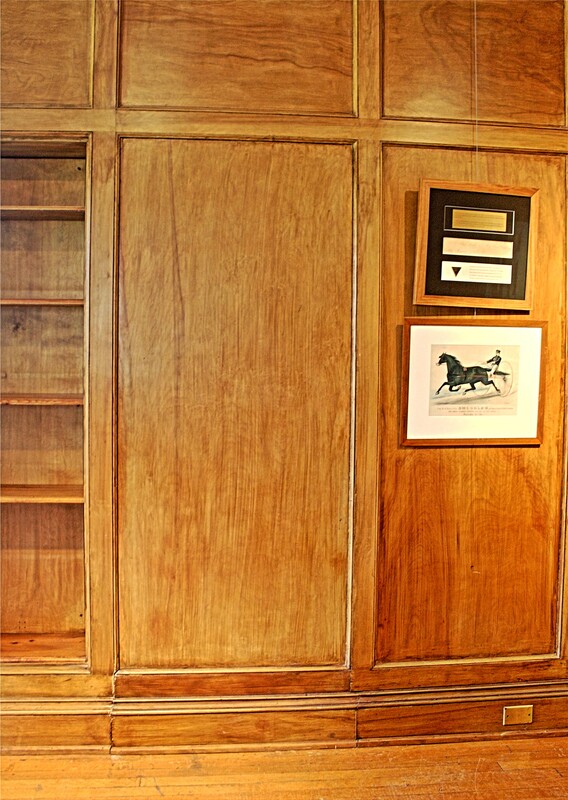 These wood paneled doors are really impressive! They are! Makes me feel quite envious. But then, you need the right kind of house to go with them. Thanks for stopping by and commenting. 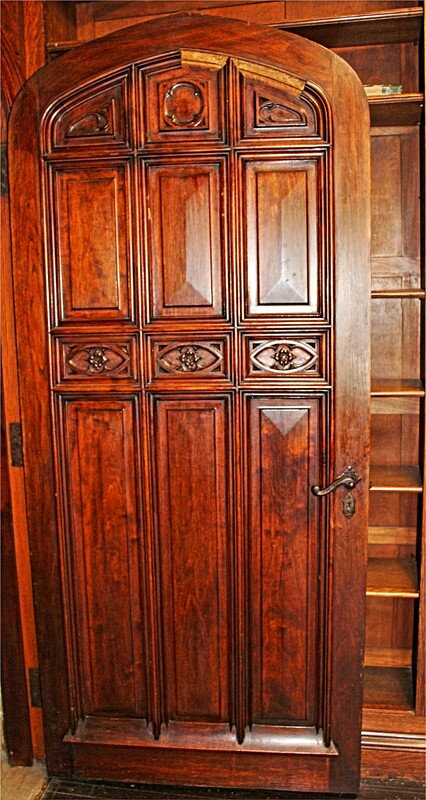 These wooden doors are beautiful. I especially like the first one with its leather like texture. So rich! Sometimes it isn’t until later, when I look at the pictures that I’ve taken, that I notice more of the detail in these things. The doors were very elegant. Yes, I recognize this ‘after taking the photo’ noticing some detail(s) or even an object that I hadn’t seen at all because I was so immersed in the moment and the shapes I was seeing through the lens … like a piece of trash lying in the leaves!!! Elegant fits some of these doors well. All that gorgeous woodwork! I am so glad someone didn’t cover up that graining with paint. Thank you for sharing! You’re right, Michelle. 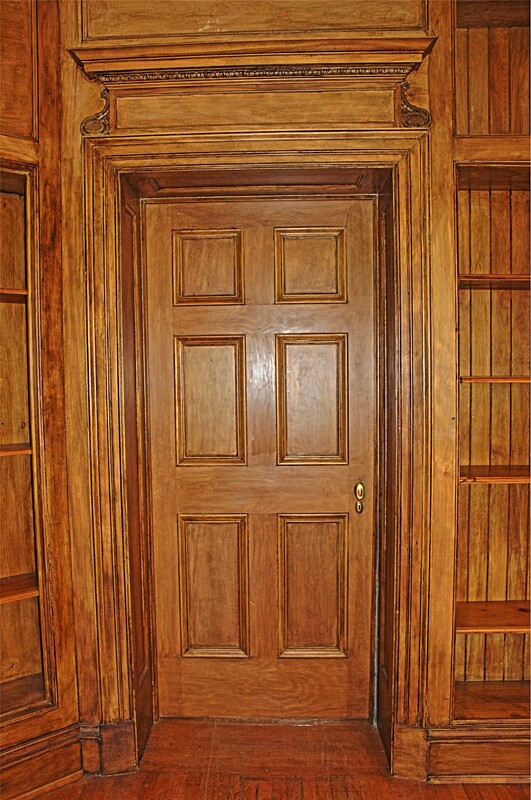 It would have been a great pity to cover such beautiful woodwork. Thank you for visiting.